My husband and I enjoy sport and competition. When we had children, there was never doubt that we would introduce them to the values we have learned from sport, namely teamwork, and sportsmanship. 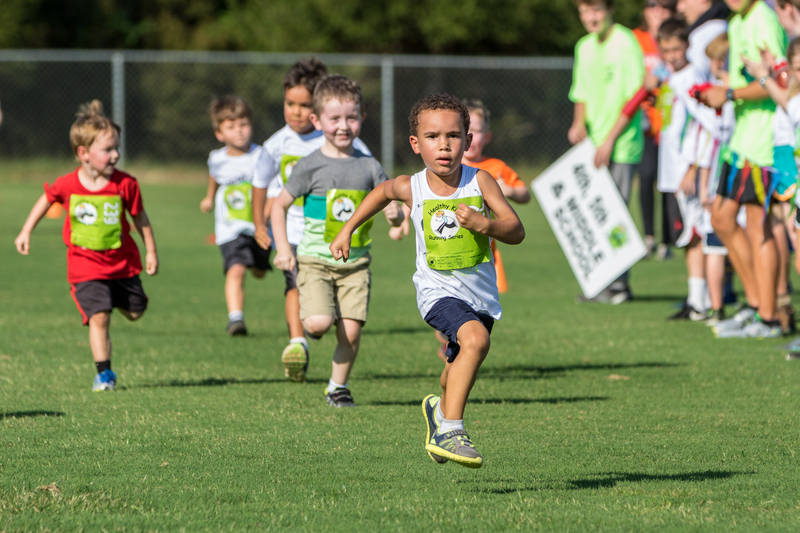 Now that our oldest ‘little man’ is four and our second-born son is two, we thought it a great time to sign up for Healthy Kids Running Series. We have a newborn girl, so my husband took our men out for their races on the first Sunday of the Series. When the family returned home, he looked as disappointed as our boys did. ‘Upon arrival at the field it was suddenly “too hot” and “too sweaty” for running. Complaints of “I want to run inside” or “I don’t want to wear my (race) number” were heard all the way to the starting line. Our 2-year-old was up first. He started off well, but three quarters of the way down the 50-yard dash, he tripped and fell, failing to finish. Diversion quickly came in the form of our eldest’s turn to run. His attitude lingered the rest of the day. It was a tough moment for us. What felt worse was we had set him up for this. We had told him how much fun he would have, and here he was, completely devastated. We were now facing a resolution from our preschooler never to run again, claiming he would never have tried if he knew he would not win. In many ways, I have learned from my patient husband how to approach these situations. We like to give things time to settle before we respond. Though, it was considerably easier for me this time, since I had not been present at the races. My husband carried our screaming boys from the field with hugs and kisses to calm them. Their attitudes were brushed aside until everyone could settle down enough to discuss. When we questioned our eldest son that Sunday evening, he described the disappointment in his failure to win. Then we planned “family time” to spend at the park practicing. We brought out our own orange cones and Hubs lined our boys up on the grass. He ran alongside them, calling out, “Ready, Set, Go!” letting them win and lose a few races each. There was laughter, high fiving, stumbling, and some crying. The following weekend, we journeyed back to the races as a family. Despite a lack of excitement, we persevered, telling the boys we would participate and try our best. Although our 2-year-old collapsed in tears once again, I helped him to his feet and encouraged him to the finish. Again, our eldest decelerated after seeing he would not win, but this time he continued to run through the finish line, waiving and smiling the whole way. We made sure to let them know how proud we were. 1.) Sportsmanship is a lesson learned over time, through persistent teaching and encouragement. 2.) We want to teach our children to set their minds to a goal and follow through. That means putting in time, energy and effort on our part. 3.) Our kids may not like running. Or sports. Or any host of things Hubs and I enjoy. It is a fine line to recognize the difference between forcing our children into an activity and encouraging them to follow through on commitments and goals. Parenting is hard. Learning the toughest life lessons are challenging for a reason. They take time. Remember: you are not the only ones at the ‘race’ going through these same learning experiences.